Not sure how many builders are doing LW format, so if you would be interested in PCBs/Panel to build yourself or have someone build it for you, please holler! Pretty happy with the panels, interested what people think of the panel layout. I was trying to get top and bottom bare aluminium for more of a paperface look but I messed something up in my instructions. Maybe next time I'll figure it out .A and C outputs are a shorting bar distance away from IN4 and TR4, respectively. To make using channels together a little easier. I wonder about that momentary switch. Is there a hardware limitation in the standard OC that prevents a simultaneous press of both buttons from working? The Northern Lights version uses a switch too and it struck me as a funny potential feature to remove. I looked through the apps and I don’t THINK that a double button press is ever used. As to why... spacing and I liked the look. The encoders can’t go any higher due to the carrier PCB the display is on. 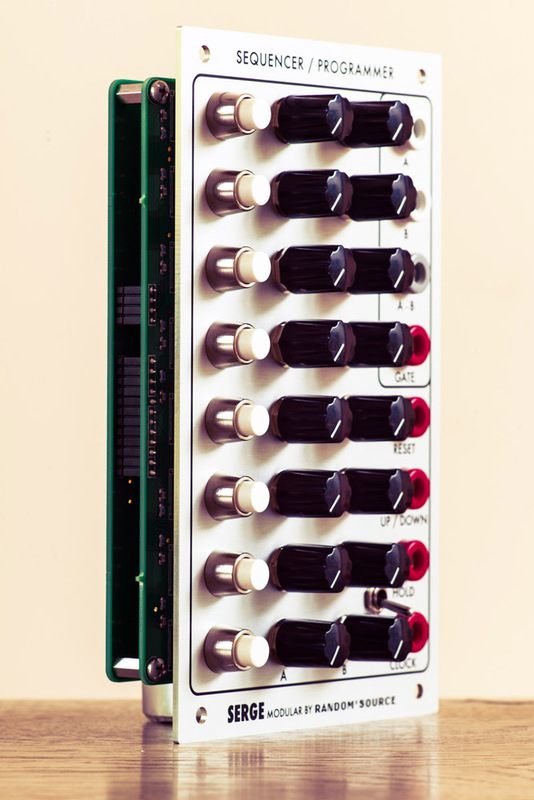 I prefer panel mounted controls and any nice solid buttons were too big to cram under the encoders. generally speaking, i'd recommend to just stick with the original specs / ui / io ranges as much as possible. So it might be a good idea to put a little “double press/reset” button that trips both lines somewhere (In between the encoders, PCB mount or maybe on the back) even if I stick with the momentary toggle. hah, yes I do believe I bothered you about it a couple times. I really like the feel of the toggle you used, great idea. I'm torn about whether to keep with the serge grid like you did in your design … remains to be seen how badly it will stick out in the rack. I had played around in Front Panel Designer a bit to design my own version of a LW O&C panel a while back. It might just be a function of how I imagined using my own personal rack, but I felt like the O&C would be good with the bananas above the screen. I don't know how "Sergey" that is, though. 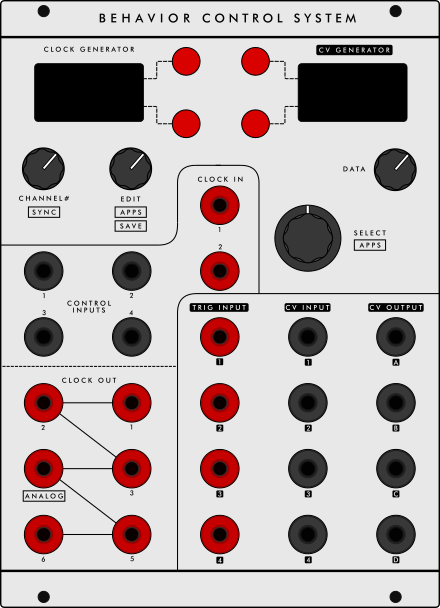 For purely aesthetic reasons I was also hoping to use the big buttons that Random*Source uses on their sequencer (and I think I've see other Serge builds use). I hoped there'd be enough room for them to the right of the screen (with the screen shifted over appropriately). dunno, i don't think it's worth sticking "EEPROM reset" on the panel, it's probably not something you'll do all the time. that said, you couldn't figure it out from the manual as is (which assumes there are two push buttons) ... there's also a bunch of features where you have to hold down one of the buttons, then turn the encoder; i'd just use push buttons for this kind of thing, though that might be a matter of taste. Also played with a layout few months ago. I even started PCB design, but I realized I had to slow down a little bit, and get back to it when I actually could do it... It's easier than getting back to it and wondering what you did, and why you did it that way. that's bloody well lovely mate, I definitely want to make single versions as well but if you would like to work together to make this version a real thing please PM me! 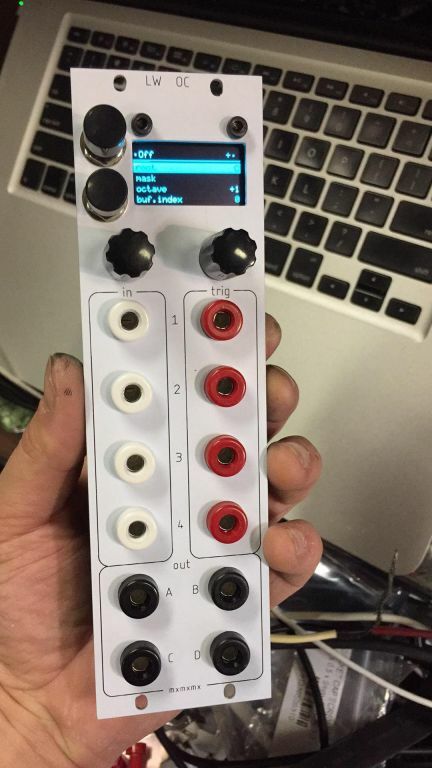 sorry for dead air, this is the new one that is ordered pending confirmation, then I'll have a couple PCBs/Panels if anyone wants some to try and I'll have a couple built ones I could sell if anyone wants one but doesn't do the DIY thing. Went with 3 rows and proper spacing. thoughts / tips always appreciated if there's something you think I missed or should add. Probably a good reason for this, but given the panel real estate, could we get a bigger screen? I'm open to it if there is a compatible one out there.... the dead space underneath the screen is because there is actually a carrier PCB quite a bit larger than the screen that runs the OLED. So nothing fits there. Resulting in this kinda lopsided looking spacing. I'm definitely in for a PCB + panel, if you care to ship to Finland, EU. Should finally start to build my LW system and this would be a great addition. The really cool thing about that on is that one can connect the out triggers of the temps with the in triggers of the OC with shorting bars if placed right. I am not into Serge, but do you guys also have those ? Looks great! Is it still SMT? 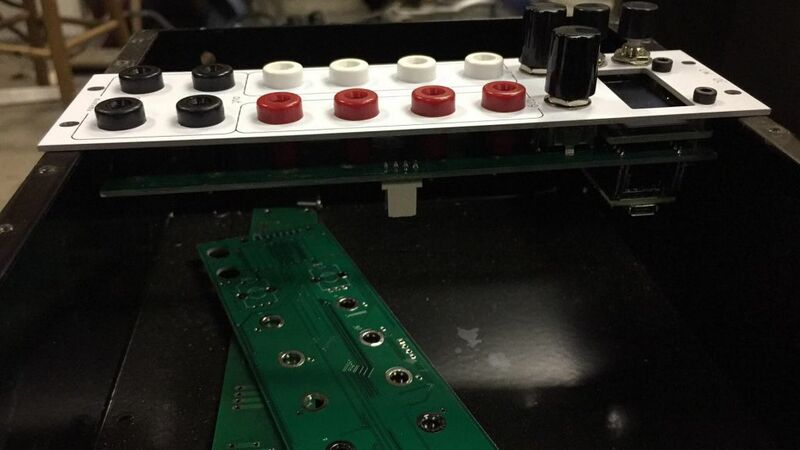 Might be cool if it had the possibility of through-hole caps given the great drought of SMT parts! In theory there are larger compatible screens, but the anecdata I remember is that the 1.5" would only work at a lower SPI clock (which makes it unsuitable because screen/DAC share the port and the timing is tight), and a 2.4" didn't work out of the box, but without actually poking at it it's hard to say why. Hmm, some excellent points from the bad producer and pld …. with the larger size it would be nicer to have some THT footprints and a bigger screen... seems right now I have the worst of both worlds. I'm gonna try again for the 2 inch version with proper 0.75 spacing …. it does look much better with the size of the screen, more in proportion. and to answer your question bad producer yeah it's still all SMT. Alright, after many discussions back and forth about how to finish this up, I gave one last shot to the 2 space layout. Yes the giant buttons are stupid, I've been thoroughly mocked over it, I officially give up on getting panel-mount buttons to work in this thing in a 2 space panel. Those will be replaced with PCB mount tactile buttons but other than that it is a go. I had to nudge the grid as far down as it will go ... the nuts on the banana jacks will just about touch the lip of the rail on the bottom. I also had to do my own OLED carrier board to get those precious extra mils to get it to fit on a 4U sized PCB. proper .75" inch grid! Only 2U! Phenomenal CV powers, itty bitty living space!